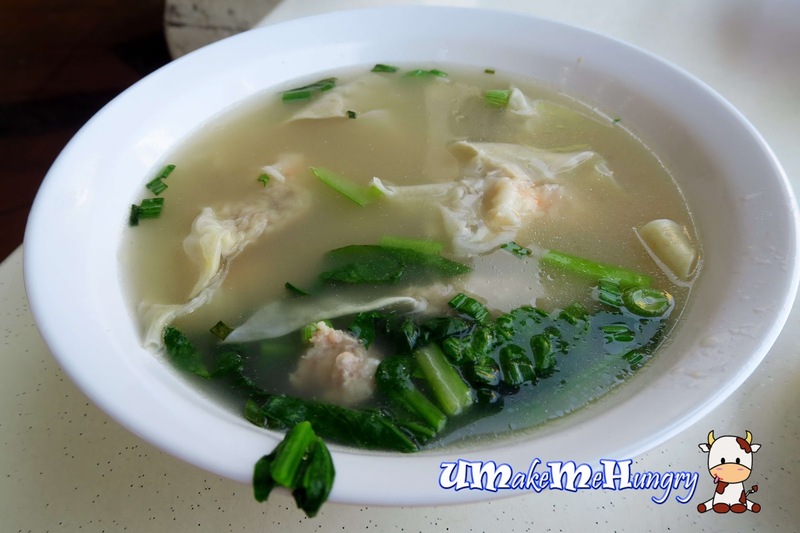 Talking about Wanton Mee, Fei Fei Wanton Mee is probably one of the top few Wanton Mee chains that will come across your mind when we talk about Wanton Noodles in Singapore. With its branches, though its available in the West, we still find it best to visit its pioneer's branch. Having ordered the fried meat ball as a side. I find that this is rather addictive and special. Minced meat has been mixed with chinese parsley, onions and chopped carrots. 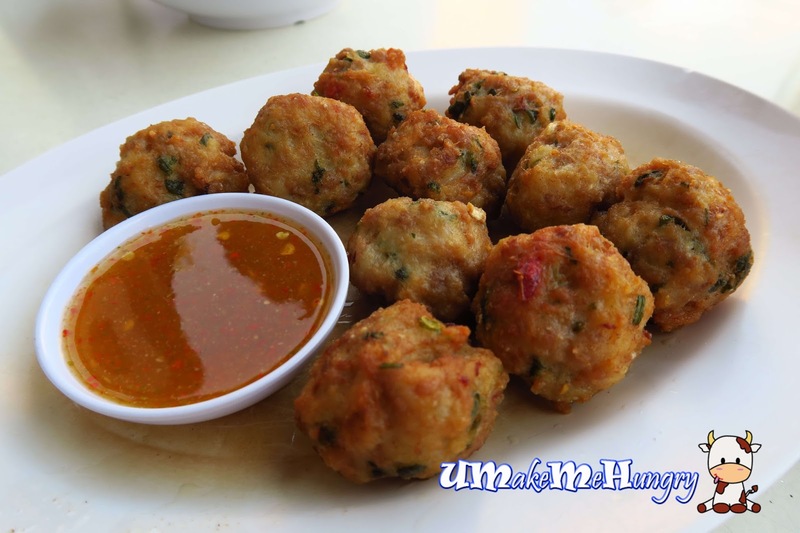 If you like meatballs and dont mind chinese parsley, this is a good finger food option. While many have feedback that their standard of food quality had dropped, I find that their noodles still stand up. With a spoonful of chilli sitting by the side of those pale noodles, the first thing that came into my mind was its spicy level. Tossing the mee with the spoonful of chilli, you will realize that the ingredients are all hidden under the noodles, with lean slices of Char Siew meat reveal and wanton. Not to worry about having dry noodles as the pork lard oil and soy sauce had given a smooth consistency to the noodles. For non-spicy lovers, you can opt for your spoonful of black sauce for your noodles. Likewise the ingredients were all under the pile of noodles. 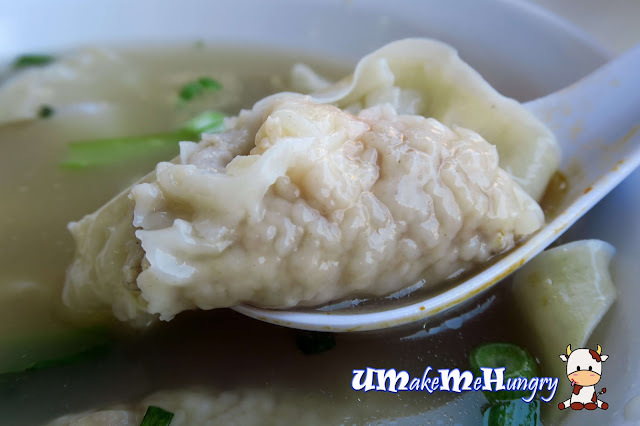 Shrimp dumplings soup was nothing out of the ordinary and it would not give you the temptation to make a return visit for it. No doubt its exterior is soft and smooth, filled with minced meat and shrimps, it still lacked the ommph and crunchy bites from chestnut. Still not the best I have eaten so far. After paying this famous Wanton Mee place, I find that it's nothing much as I still personally prefer's Pontian's to this!